Our client, a “Top 10” pharmaceutical company, needed to boost enrollment for their phase ll pediatric sickle cell anemia study. 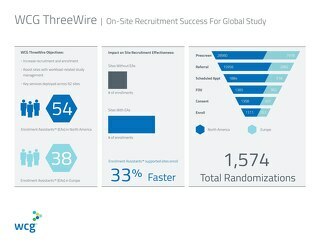 Facing both site-fatigue due to an extended protocol hold and a 75% screen fail rate, they called on ThreeWire to help one struggling site in the US enroll the pediatric patients needed to hit recruitment goals by the fast-approaching enrollment deadline. 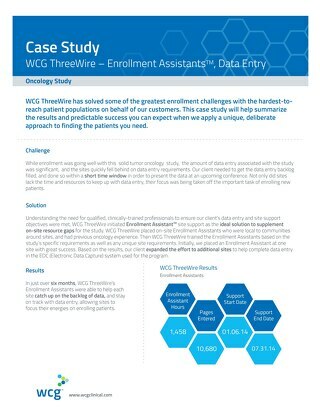 For this study, ThreeWire provided on the-ground Enrollment AssistantTM (EA) site support to jump start enrollment at the site. Focused solely on our client’s study and expedited the identification of patients through our systemic ThreeWire Chart Review™ process. 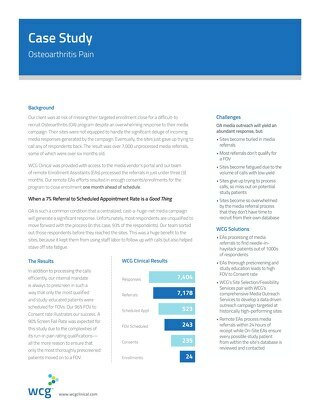 Potential study candidates were identified by reviewing the charts of pre-existing patients. Not only did this speed up the recruitment process, but patient caregivers learned of the study details through a face-to-face discussion in the comfort of their familiar clinic—just the kind of special attention pediatric patients and their caregivers require to feel confident in their decision to participate in a clinical trial. 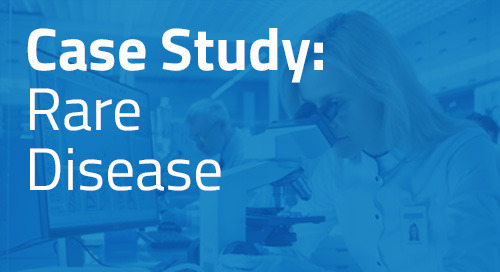 ThreeWire’s dedicated Program Management team ensured program execution and results were optimized based on the site’s needs while the challenges of the study were brought to the sponsor’s attention and solved in a timely manner. 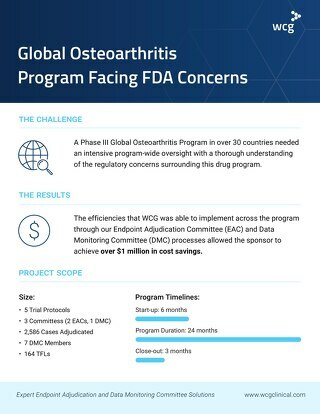 After seven months of ThreeWire’s EA actively prescreening, reviewing patient charts and tracking each patient status using our My-Patient.com® system, our services helped to contribute 8 consents, resulting in a total of 4 enrolled patients. 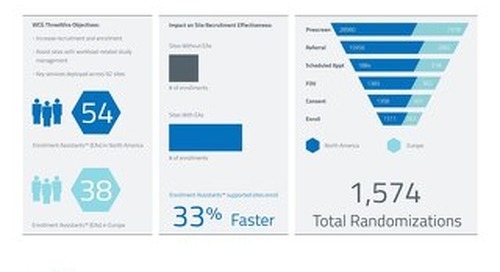 During program wrap-up, the site receiving support was identified as the top-performing site, enrolling 10% of the entire randomized population of the study.